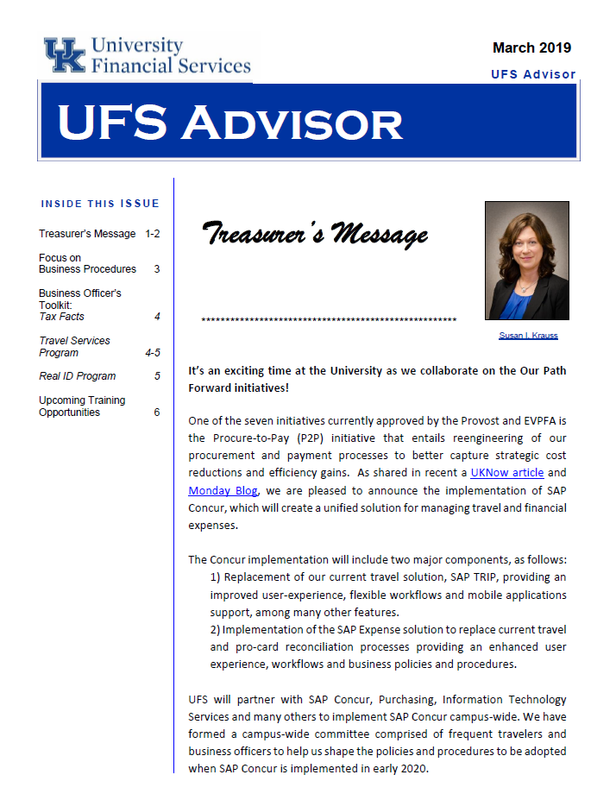 UFS Advisor brings you news about people, policy and points of information from the departments in University Financial Services. We will focus on finance news that you need to do your job and connect you to the people that can help. The subject line should be blank as well as the rest of the body of the e-mail.